NFL owners voted Tuesday night to allow the St. Louis Rams to move to a new stadium just outside Los Angeles, and the San Diego Chargers will have an option to share the facility. The Oakland Raiders, who also wanted to move to the area, could move to Los Angeles if San Diego doesn't, Commissioner Roger Goodell said. The moves end the NFL's 21-year absence from the nation's second-largest media market. 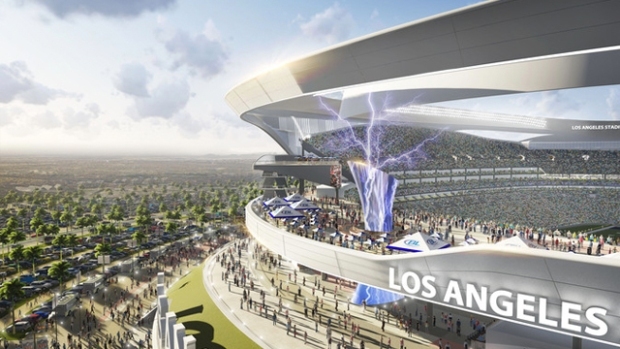 The compromise — the Chargers and Raiders wanted to share a new stadium in Carson, California, and the Rams wanted to move to nearby Inglewood — was approved 30-2 after the other options did not get the 24 votes needed for approval. The Chargers can continue to negotiate with San Diego for a new stadium deal, while keeping the option of joining at the Rams and owner Stan Kroenke at the $1.8 billion complex he is building. "Relocation is a painful process. It's painful for the fans, for the communities, for the league in general," Goodell said. "In some ways a bittersweet moment, because we were unable to get the kind of facilities done we wanted in their markets." The Rams — based in the LA area from 1946-94 — will play in a temporary facility — probably the Los Angeles Coliseum — until the new stadium is ready for the 2019 season. 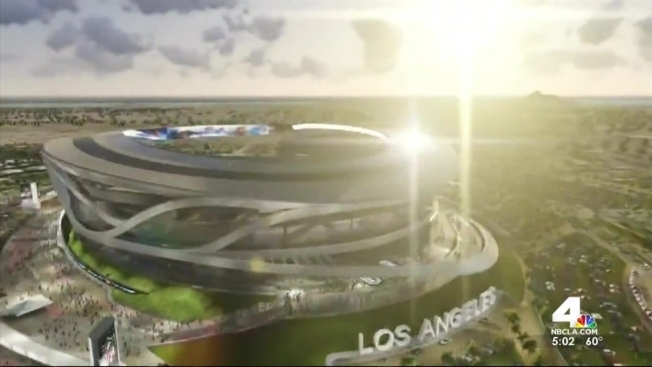 "Today, with the NFL returning home, Los Angeles cements itself as the epicenter of the sports world," Los Angeles Mayor Eric Garcetti said in a statement. "We cannot wait to welcome the Rams, and perhaps others soon, as they join a storied lineup of professional franchises, collegiate powerhouses, and sports media companies." The league will give $100 million to the Chargers and the Raiders if either team builds a new stadium in their current markets. "I will be working over the next several weeks to explore the options that we have now created for ourselves to determine the best path forward for the Chargers," chairman Dean Spanos said. 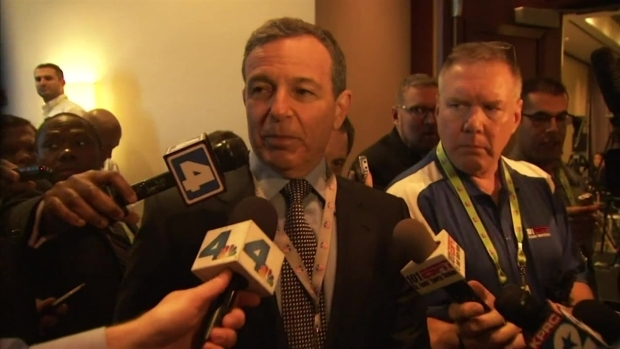 Disney CEO Bob Iger, hired by the Chargers and Raiders to spearhead the Carson stadium effort, talks about the proposal during the league owners meeting Tuesday Jan. 12, 2016 in Houston. The Chargers play 120 miles south of Inglewood in Qualcomm Stadium. The Raiders played in Los Angeles from 1982-94 and currently split a facility with baseball's Athletics, the last remaining NFL-MLB stadium. No NFL franchise has moved since the Houston Oilers went to Tennessee in 1997. The Raiders and Rams both left Los Angeles after the 1994 season. In a report to all 32 teams days before the meetings, Goodell deemed the venues in all three existing cities inadequate and said the stadium proposals lacked certainty. In the case of San Diego, that includes a public vote required for the financing. The Chargers and the city have been at odds since 2000, when owner Alex Spanos said his team needed to replace Qualcomm Stadium. That was just three years after the venue was expanded to accommodate the Chargers and Super Bowls. 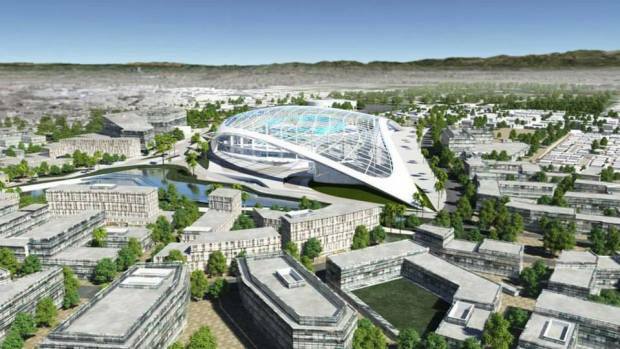 The stadium saga turned nasty in the past year as Mark Fabiani, an attorney for team Chairman Dean Spanos, criticized Mayor Kevin Faulconer and his proposals. The city has claimed that the Chargers didn't negotiate in good faith and had several misrepresentations in their relocation bid. Spanos has had the right to leave San Diego since 2008, but the team's efforts became more aggressive after Kroenke announced plans for the Inglewood move. The Chargers have played in San Diego for 55 seasons after one year in Los Angeles when the former AFL franchise was born. A six-member committee of NFL owners recommends Carson as its preferred site for an team. Fred Roggin reports Tuesday Jan. 12, 2016 on the NBC4 News at Noon. The St. Louis proposal calls for an open-air, $1.1 billion stadium along the Mississippi River north of the Gateway Arch to replace the Edward Jones Dome. The plan includes $150 million from the city, $250 million from Kroenke, at least $200 million from the league, and $160 million in fan seat licenses. The rest of the money comes from the state, either through tax credits or bonds. Goodell says NFL policy limits the league's contribution to $100 million, and Kroenke has largely ignored the plan. The team said in its relocation bid that the St. Louis market lags economically and that the stadium proposal is doomed to fail. The Rams have a year-to-year lease in St. Louis. Oakland is still in debt from a renovation 20 years ago when the Raiders moved back from Los Angeles. City officials have said they won't seek help from taxpayers with a new stadium, and asked the NFL for more time to develop a project in a response to the Raiders' relocation plan. Los Angeles Coliseum, the college football home of Southern California, would host at least one team until a new stadium is finished, probably in 2019 if relocation plans go forward. Finding a home for a second team could prove more difficult, although the coliseum is a possibility.